The Balcony Guest House (Located in the Marigny), is Your New Orleans Bed and Breakfast above Silk Road Restaurant. We are conveniently located at 2483 Royal Street (Corner of St Roch & Royal). Come and stay in our unique New Orleans Vacation Rental and see why everyone who stays loves it. Only 7 blocks down river from the French Quarter and 5 blocks from Frenchman Street. Hang out and relax on our private balcony overlooking the historic, alluring and relaxed (Creole Caribé) Marigny area. Check-in is within Silk Road, Balcony Guest House's Restaurant starting at 3pm and check-out is at 11am. Breakfast for our guests begins at 9 am. Watch our YouTube video below for an inside look at our extensive wine bar, cozy atmosphere and great dishes! 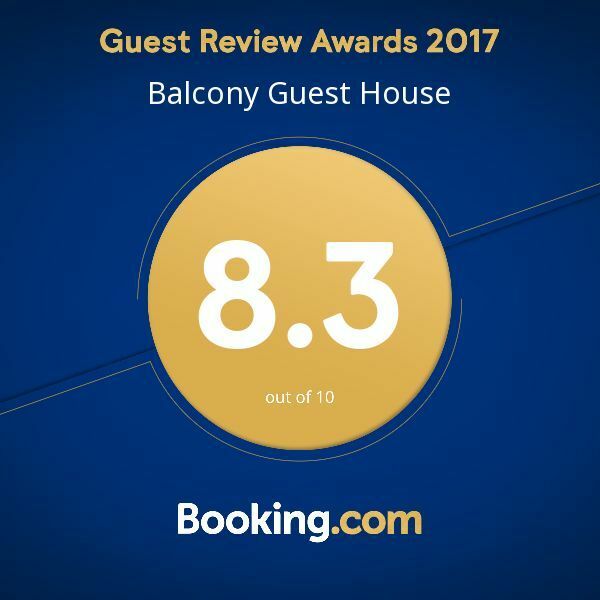 Check-in for Balcony Guest House is in Silk Road, as the restaurant is apart of the B&B. Walk into the Silk Road Restaurant bar and the manager will help you check into your room. If you have any questions don't hesitate to ask or call (504) 944-6666. Check-in begins at 3pm and check-out is at 11am. Upon entering the doors of Balcony Guest House, you will receive customer service Southern Comfort style. In the morning, guests will also be treated to a continental breakfast that includes croissants, muffins, cookies, granola bars, oatmeal, cereals & milk, yogurt, fruit, hard-boiled eggs, cheese, butter, jams, coffee and orange juice. Breakfast is served in the breakfast parlor at 2479 Royal Street. Breakfast is available starting at 6 am and lasts until 11:45 am. There is free, safe on-street parking around the B&B and restaurant. The Balcony Guest House is located in a safe and trendy neighborhood of New Orleans. 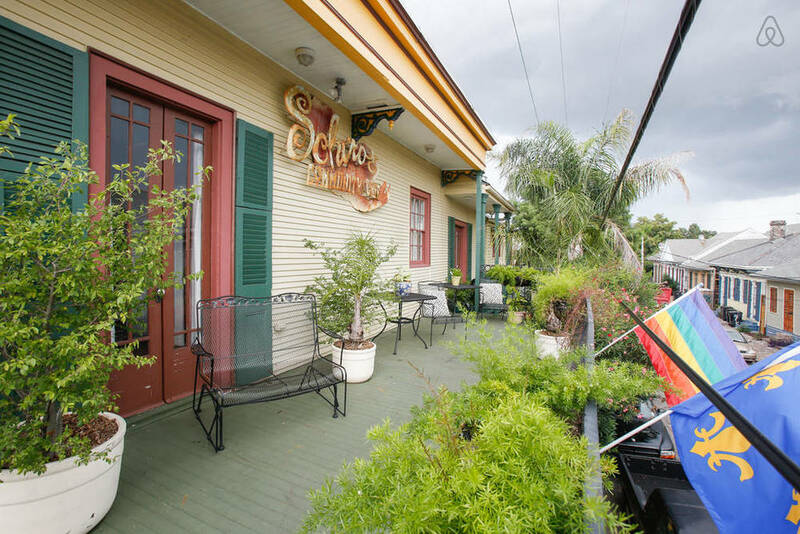 The Marigny is home to the best bars and nightlife, including Historic Frenchman Street. The B&B includes Silk Road, a New Orleans Restaurant, that includes amenities like a wonderful menu, a wine market, private event space and bar. We're also a licensed alcohol vendor, so guests can buy their favorite wine, beer or beverage from our store. 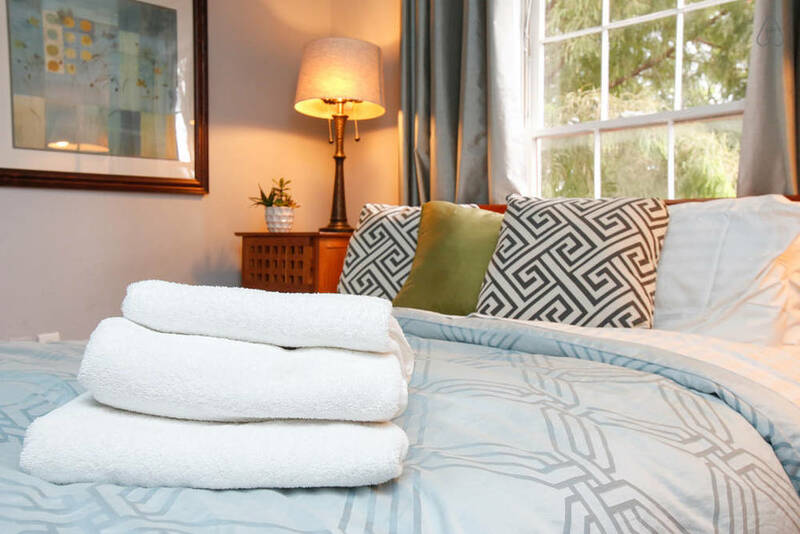 Whether your itinerary includes a day of sightseeing, antiques shopping and dining in the historic French Quarter or a night of listening to the best sounds of New Orleans on Frenchmen Street, look no further for a local Vacation Rental; The Balcony Guest House is perfect for a relaxing retreat. City Park (third largest urban park in the U.S.) is also nearby and houses NOMA (New Orleans Museum of Art), tennis courts, botanical gardens, and four golf courses, as well as being a wonderful area to ride bikes and view the huge historic and documented oak trees. Bikes can be rented on Frenchmen Street, at Bicycle Michael’s–5 blocks away. The ride up Esplanade Avenue to the park is pleasant, and bikes are available for rent near the park as well. The Fairgrounds are also near the City Park end of Esplanade. This is the site for the New Orleans Jazz Fest every year, on the last weekend of April and first weekend of May. If you have any questions or would like to talk with us, please do no hesitate to contact us. In the meantime, be sure to read a few Reviews and look over Our Rooms. We rented the entire upstairs accomodation for our son's wedding, with guests from NJ, CA and Australia. This was a GREAT space, plenty of privacy, a bathroom with each room (important when everyone's getting ready at the same time). Two suites for family groups, and communal areas where we could gather together. We also hired the back section of the restaurant one night and had dinner for 40 people, food was lovely. My only criticism is the lack of furniture on the balcony. Other than that, great amenities, pleasant hosts and terrific location. Having lived in New Orleans for school and for a bit before, I had my reservations with this place for my best friend's bachelor party. "The Marigny." "Above a bar." "Too far from the Quarter." All pre-issues that my friends had. Suffice to say, this place is probably the coolest, most appropriate, most fun I've ever had, and all of my friends agree. The staff is awesome. The balcony is awesome. The location (no foolling around, trust me) is awesome. It's just close enogh to the Quarter. The communication between us and their team was phenomenal. The simple ease of corralling 23-some odd people in one place, with a helpful and respectful team on the other end was simply amazing. I will absolutely utilize this gem in the Marigny again. I seem like a fanboy right now, but, trust me, it is appropriate. Hands down the best time I've had in quite some time. Thanks, Zac, and your entire team of professionals. We truly appreciate it.